I've received some more awesome beads in the mail from ZnetShows. Design Team members were offered the chance to be partnered up, pick beads for their partner as inspired by the beach, and design with those beads. By happy chance I ended up with two partners. . .that means TWO sets of beads for me! Christine Stonefield of Sweet Girl Design is my first partner. And here's the lovely selection of beads she picked out. My second partner is Kelly Patterson of PyxeeStyx~Traveling Sideshow. 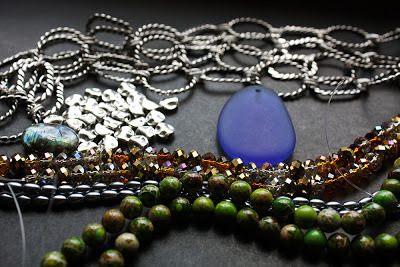 She picked out a wonderfully eclectic mix of beads and chain. 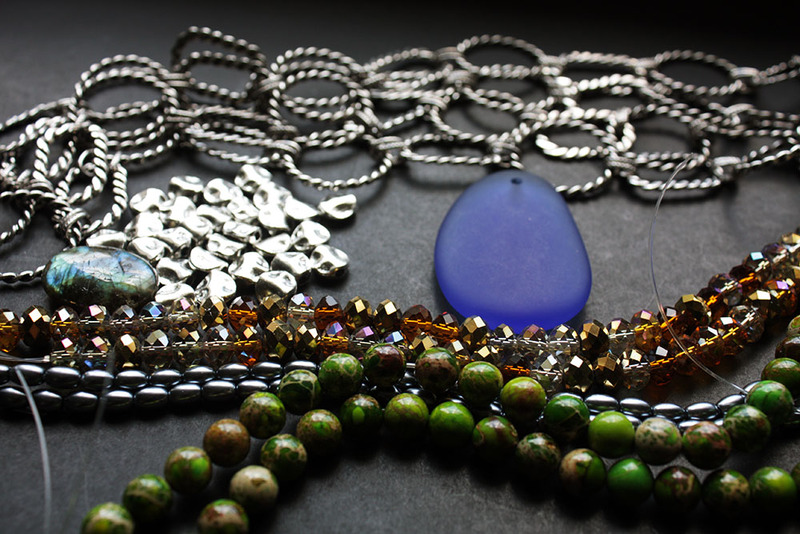 I've already started designing with both sets of these beautiful beads. Our reveals are to be on or before July 6th as there will be a Blog Hop of all the designs at the ZnetShows Blog on July 6th. As well, there's going to be a GIVEAWAY involved. Make sure to check back for more details! Oohh! Love them both! You are gonna have a blast! Shirley- I'm totally having a blast with them! :) Thanks! You got some great beads there! 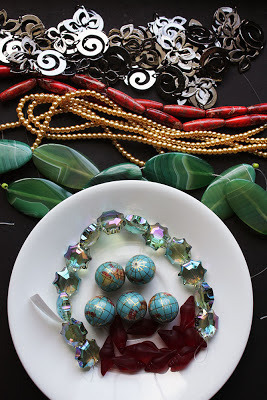 I love and want some of those earth globe beads!!! Can't wait to see your wonderful creations!